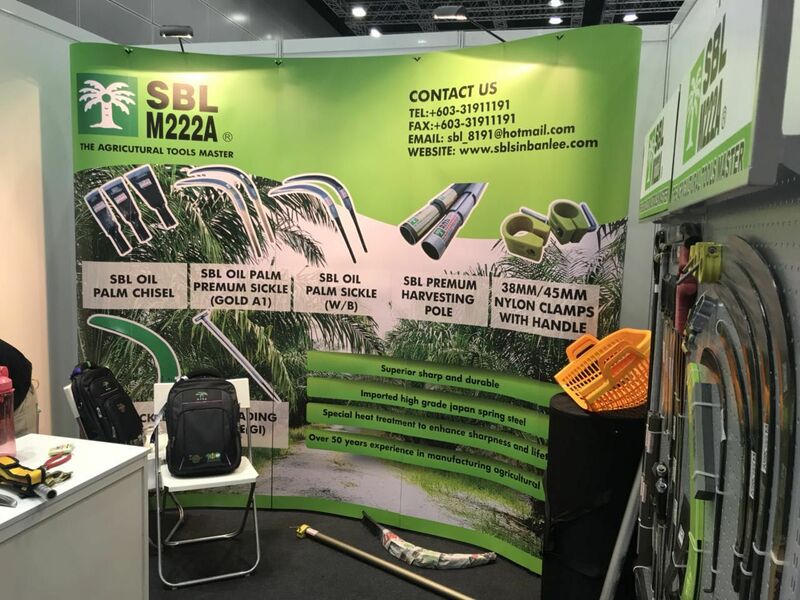 SBL Sin Ban Lee Hardware Sdn Bhd manufactures and supplies a full range of oil palm sickle,oil palm chisel, oil palm axe and hook for all your plantation requirements over 50 years. Our office and factory is located in Jenjarom, Selangor, Malaysia. Third generation successor MR NUI LEAN HUAT AND MR NUI LIAN SIN constanly innovation and develop new technologies ,imported advanced and customized machinery such as stamping machinery , air hammer , and heat treatment machinery , few millions ringggit malaysia has been invested in reserch and development to improve product quality and productivity. In year 2017, our new production plant will be start operation, the new production plants covers an area of 25000 square feet, it will be increasing the production capacity to much higher, to meet the demand of different countries. Beside our home country malaysia, we also export to other oversea contries such as the world largest oil palm producers indonesia, thailand , south africa , papua new guinea and also latin america country. SBL M222A was our registered trademark, there is only one production plants in malaysia, even in indonesia we had no other joint ventured or any production factory , except our authorised agent distributors, so please beware of imitation product. Our products are under manufactured by all skilled craftsmen those are only specialized in harvesting tools with semi automated manufacturing process to assured the SBL M222A harvesting tools, raw material are imported from Gremany and Japan. Provide after sales service back by SBL. "THE AGRICUTURAL TOOLS MASTER" is the motto and slogan that used to the design and manufacture of SBL M222A product. We believe in a high cutting egde performance harvesting tools for a good harvest.